It has been a busy two weeks with work carrying into the after hours with Blackberry, and Exchange updates. I was able to get through all of the OSPF and EIGRP class on demands from IE. I also got through the OSPF and EIGRP labs from workbook one last week. I moved onto BGP yesterday and stopped so I could read through my BGP notes first. I am hoping to have the BGP COD’s finished by Friday and working on the labs at night this week. With the rate I am moving I will have to take my written exam again, but will be throughly prepared! Was a pretty good class. It is always nice to rehash information by a different source. It was a quick class so you had to be on your toes if you were taking notes, it covered a lot of material in only a hour and 45 minutes. I would recommend everyone to take advantage of these when Scott does them. action; the reason for the action. Something I have lacked within the last four weeks. Maybe it is the weather, maybe itâ€™s because fall has come here in the Northeastern United States. With fall comes only one thing: Football! I live for college football there is no doubt. Go Michigan! Too bad I live in New York State. Anyhow I was having trouble getting motivated again. I have been floating and finding myself going through the motions. 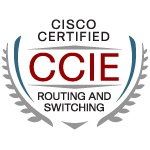 Then I read CCIE Pursuits page and saw the free OSPF v-seminar this Thursday. Exactly what I have been studying. Another push at the motivation. Actually I read all the blog sites I have listed daily to help keep me going. Sometimes I feel like there is no way I am going to learn all this stuff. I sit and think I donâ€™t see this day to day and then think how am I going to do this. I once read someoneâ€™s post that the CCIE is not about just learning it is to show you how much you donâ€™t know. It has done that for sure. I can handle everything I have studied up until this point no problem. I just hope I can stay the course and work through everything else I have ahead of me. At worse I can always read the blogs!